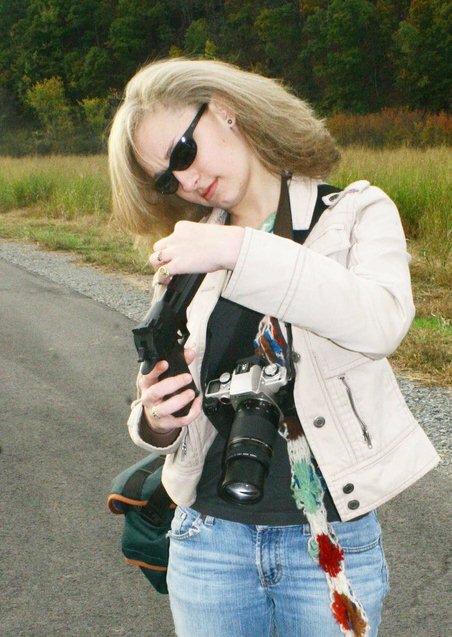 Jessica was busy taking photos of her girlfriend with a pistol. 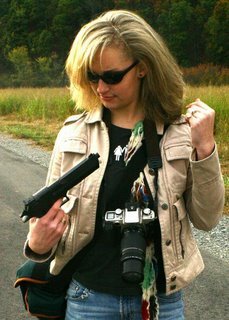 Her girlfriend accidentally pulled the hammer back, and Jessica wanted to make sure the dangerous firearm was not loaded. A photographer can never be to safe when it comes to photographing firearms.